In 1991, Geoffrey Moore wrote the following paragraph in his classic book, “Crossing The Chasm“. 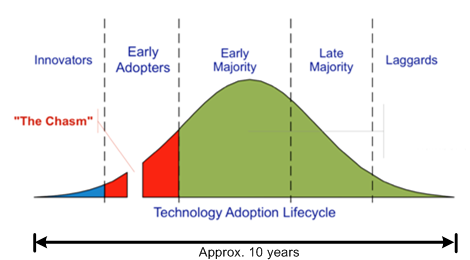 The “chasm” in the curve is the critical do or die period in the life of a disruptive technology. If its advocates can’t manage to catapult the technology over this imposing chasm of doom, the technology either outright dies on the vine or it lives on in an impoverished, niche market. My interpretation of Mr. Moore’s quote places me squarely into the “Early Adopter” segment of Bitcoin technology. Sure, it’s been 6 years since Satoshi Nakamoto bootstrapped the Bitcoin network into existence, but Bitcoin’s goal of obliterating the deeply entrenched, inequitable banking system and changing world behavior is anything but assured. 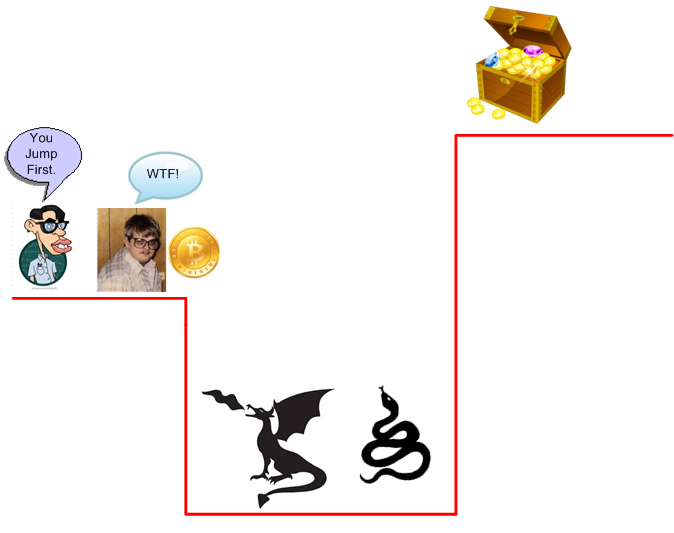 The question is: “Has Bitcoin already crossed the chasm? I think so, but do you?